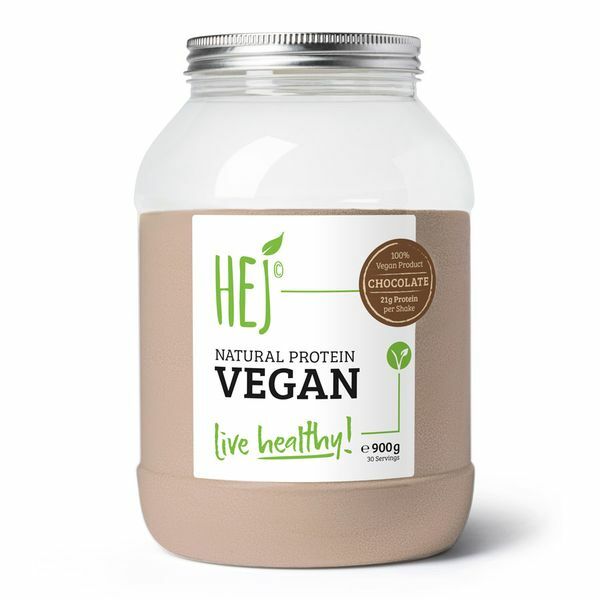 The HEJ Natural Protein Vegan is incredibly delicious and has no sandy taste. Protein helps cells recover after workout sessions. Right after a workout, for breakfast or in between meals. Mix 1 scoop with 250-350ml water. The HEJ Natural Protein Vegan is made in Germany in verified and certified production facilities to ensure the highest quality for the end product. Premium mix of pea and rice protein strengthens your muscles. 21g of proteins per shake! Our vegan protein contains only valuable ingredients tailored to your personal fitness – plant-based protein for your muscle recovery. 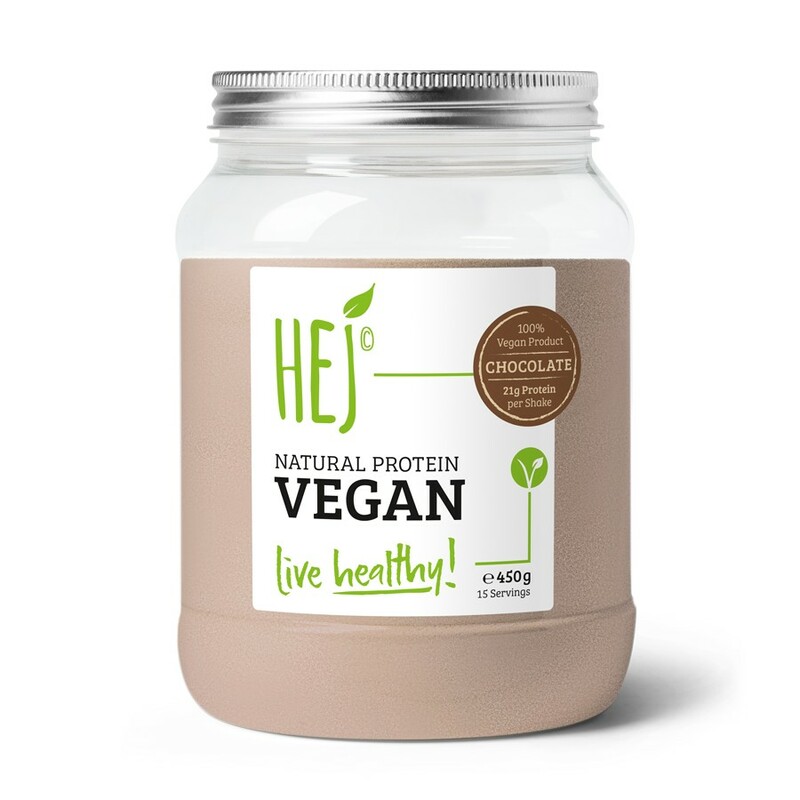 HEJ’s vegan protein is easily mixed with water and does not have the well-known sandy taste that comes with regular vegan protein powders. Real vanilla and real cocoa are used for this premium vegan powder. Ingredients delivered from verified sources. The HEJ Natural Protein Vegan is being produced in Germany and uses pea & rice protein from verified high quality sources. You tried vegan shakes before, but they were just too sandy? We hear you! Now you can try a vegan shake not only free of milk but also gluten free and soy free. Ist the HEJ Natural Vegan gluten free? The HEJ Natural Vegan is 100% gluten free. What is the main ingredient in HEJ Natural Vegan? The protein source of the HEJ Vegan is pea protein isolate and rice protein concentrate. What makes HEJ Natural Vegan special? 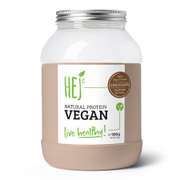 The HEJ Natural Vegan Protein has no soy protein but contains of premium pea and rice protein. Additionally, it is lactose-free, gluten free and free from any processed sugars. May contain traces of egg protein and soy.